Meet new people, and discover innovation. At our ‘Innovation Thursdays’ you can meet interesting people from diverse backgrounds who share a common interest: Innovation! 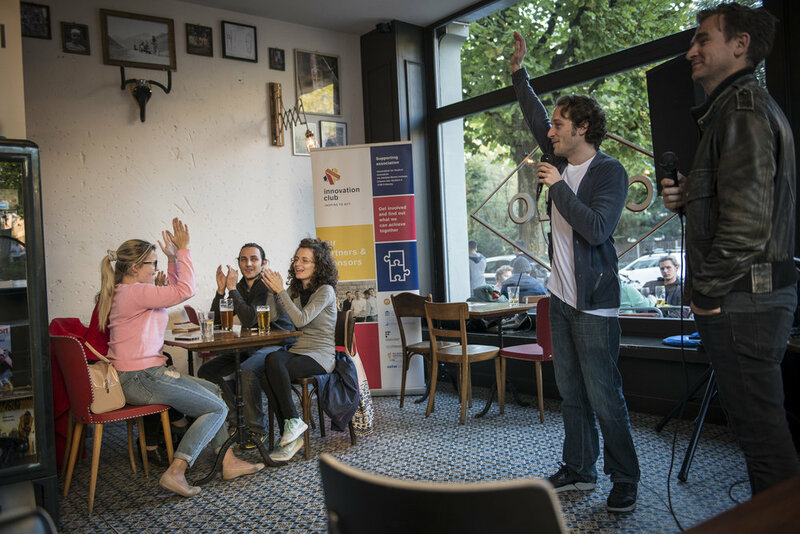 We bring together students, professionals, academics and entrepreneurs in an informal environment to network, share ideas, find a team member and pave the way for a future job – or just join us to have a fun evening.